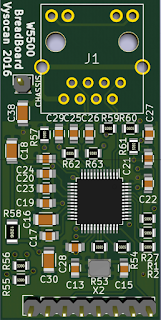 As gateway board is having issue with Ethernet crosstalk, I have created small 2.5 x 5 cm breadboard friendly PCB. I will use it to verify my new component arrangement and not spending another 50 USD on full gateway boards. I used differential trace length and moved the 3V3 power line away form TX/RX pairs. 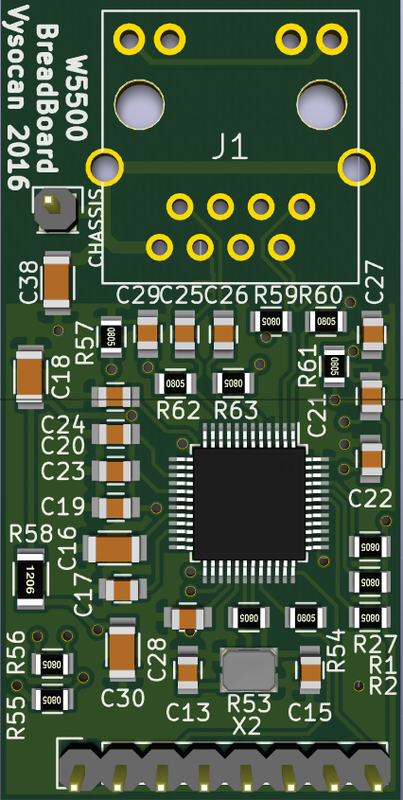 Also I have removed 33R dumping resistors from design as I have not found them anywhere else nor even or W550io from WizNet.